Davison says there’s “no way” she’s dying alongside her beloved husband. 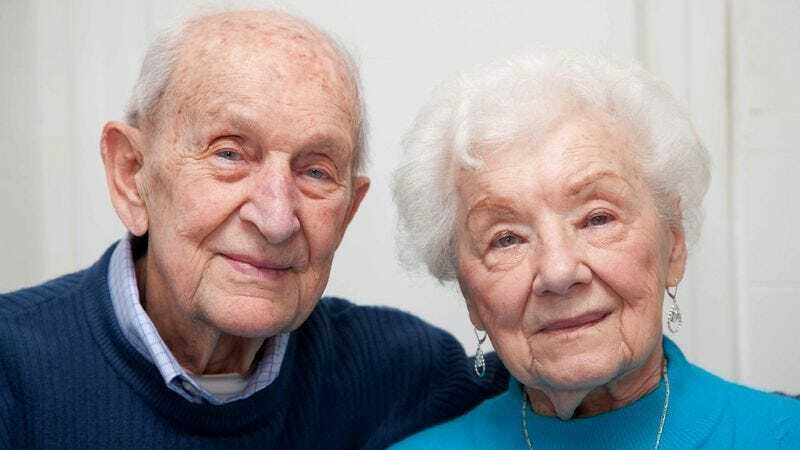 TACOMA, WA—Sitting at the bedside of her ailing husband Roger, whom she first met at a school dance in 1951, local woman Jeanie Davison told reporters Wednesday that when the time comes for her beloved spouse of 60 years to pass on, she has no intention of letting him drag her into death at the same time. Davison said that while she is deeply saddened by the thought of life without her closest companion, she acknowledged that she was actually pretty capable of imagining how things would be without him, especially in two or three years when she has adjusted to her new routine. In addition to visiting friends more often and reading, Davison said she would definitely spend more time watching her grandkids grow up, enjoyable activities she is reluctant to sacrifice just so she can breathe her last breath at the very same moment her husband does. In fact, Davis confirmed that if she still feels as healthy as she does right now, she plans to make her first-ever visit to Redwood National Park once Roger dies, a trip she would be unable to take if she were lying in bed, looking over at her husband’s now-empty rocking chair, and waiting to join him.